When you hear about an IT staff that has to build their infrastructure from scratch to support a new business, you think, “That couldn’t be that hard – they had no legacy infrastructure to support. 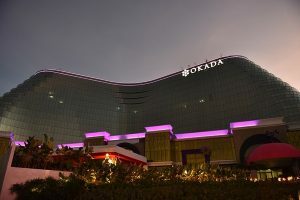 What a dream job.” Well, it wasn’t a piece of cake for the crew at the Okada Manila resort hotel, and in an interview with Dries Scott, the SVP of IT for Okada, I got to see why. This entry was posted in CIO interviews, Published work by dstrom. Bookmark the permalink.